We recently had the chance to head over to Tangalooma Island Resort (only 75 minute boat ride from Brisbane) for the launch of the Whale Watching season in Moreton Bay and what a magical day it was. 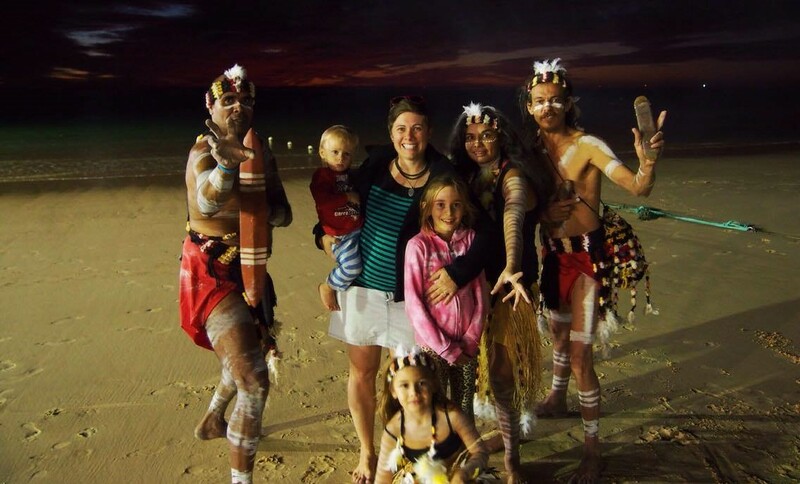 I had wanted to go to Tangalooma for quite some time as we live very close but life had always managed to get in the way. As a day trip weekend or holiday experience for a family I couldn’t recommend it more. We took our 8, 6 and nearly 2 year old and all 3 of them had a blast. Our morning started off on the ferry across to Moreton Island and the kids were pumped. Once we got to the Island we hopped off the boat for a quick turnaround. Some people headed to the resort and those going out whale watching got back on the boat to go see some whales. On our way to the open waters we had lunch on the boat and it was very kid friendly which meant all of our 3 kids actually ate which was winning in my books. We saw quite a few pods of whales on our adventure and the kids were so excited. Even our little guy knew what was happening and kept yelling out fishy … fishy. We were also lucky enough to have some of the local indigenous people on board who were telling us dream time stories of the whales and their ancestors which made it a truly magical experience. After a few hours we headed back to Tangalooma and the kids had loads of fun playing around on the gorgeous beach. The sun began to set and I swear it was one of the most amazing sunsets I have seen in my life. The evidence is in the picture below. We then watched the official welcoming of the dolphins by the local indigenous people. This will be a standout magical memory for me for the rest of my life. I have never witnessed an aboriginal smoke ceremony and welcoming like this before and it truly was a special moment for our whole family. After the official welcoming of the dolphins we headed out into the water with the lovely Tangalooma staff and fed the wild dolphins. It was quite incredible because as the smoke ceremony was taking place the dolphins came into the shore and were swimming around saying hi and waiting. You can’t quite describe how magical the whole experience was without actually being there. If you have ever thought about heading over to Tangalooma Island Resort to feed some wild dolphins and go whale watching I can not recommend this enough. We have been whale watching a few times and the best whales we have seen have been in the Moreton Bay. The kids had a blast and I love that they were out in the ocean experiencing life for real rather than behind a screen. You can find out all about the Tangalooma Day Trips and Cruises here.